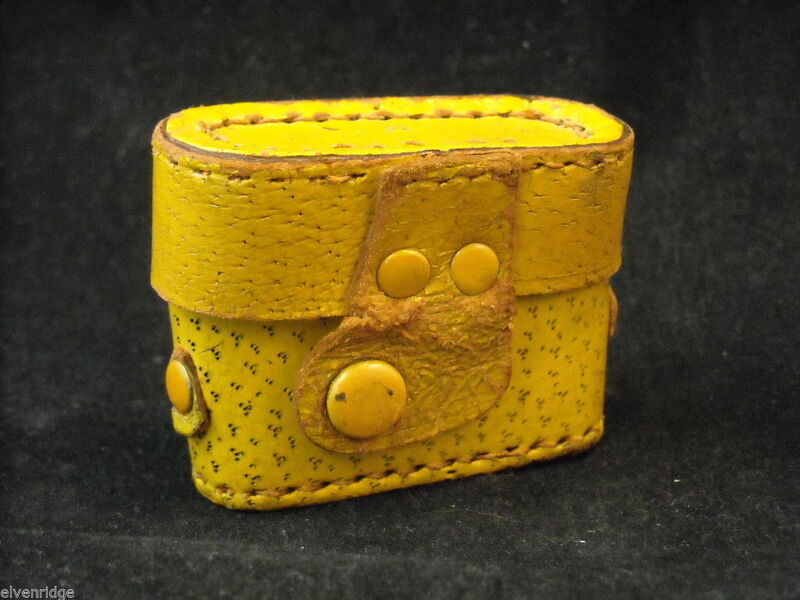 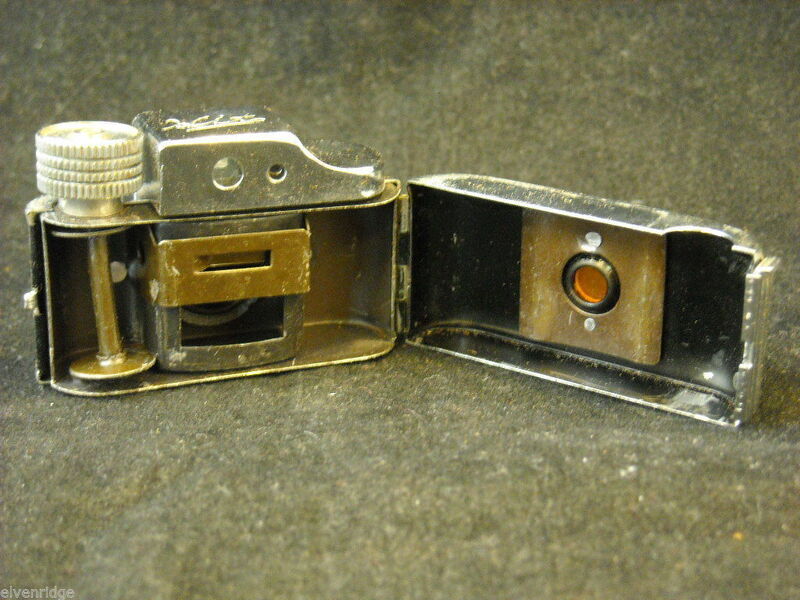 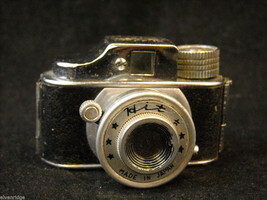 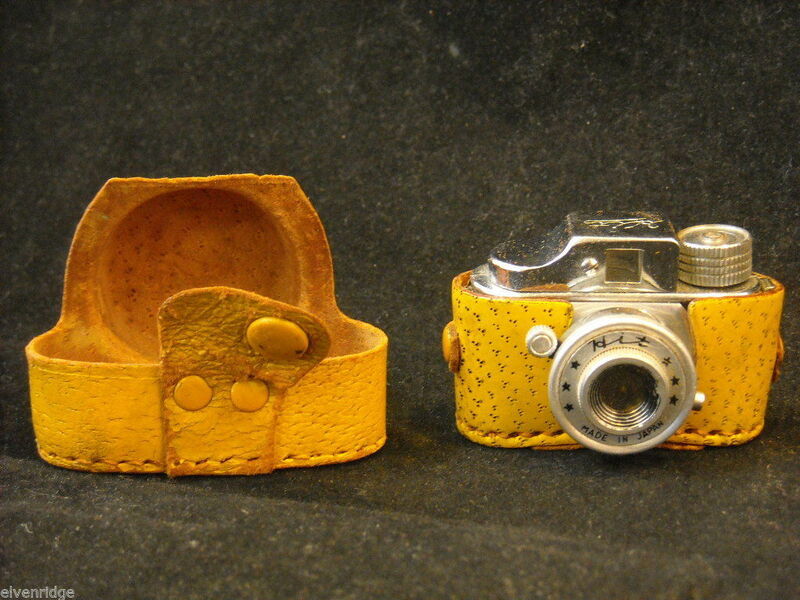 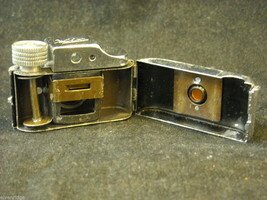 This is a listing for a 1950's Miniature Hit Camera made in Japan. 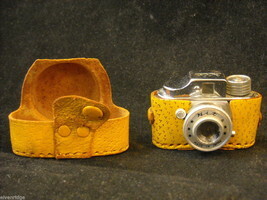 The camera comes in it own yellow case and it STILL WORKS! 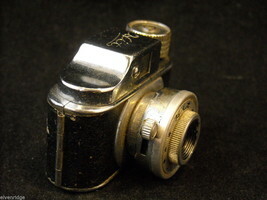 The camera itself is black and chrome, and snaps closed. 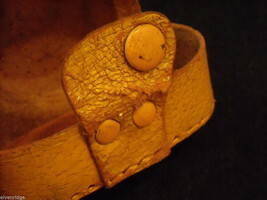 The outer piece of the snap is worn. 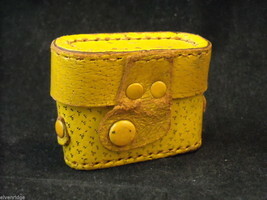 It measures 2 1/4" x 1 3/4" x 1 5/8".